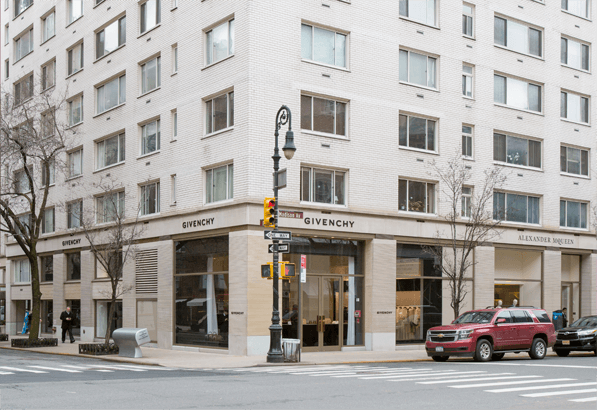 Formerly occupied by Valentino, the 2,800-square-foot block at 747 Madison at East 65th Street will be. The clothiers home for the next 15 years, according to the terms of the agreement, reported by the New York Post. The asking rent was approximately $1,700 per square foot, and the spread includes a 1,000-square-foot mezzanine as well as a 1,500-square-foot basement for storage. Joel Isaacs of Isaacs and Company represented LVMH, the Paris-based multinational conglomerate that owns Givenchy, in the deal. Neither he nor Sutton returned the Posts requests for comments.